2Why Are You Seeing This Number Now? 3What Action Do I Need to Take? This article is about number 222 spiritual meaning. 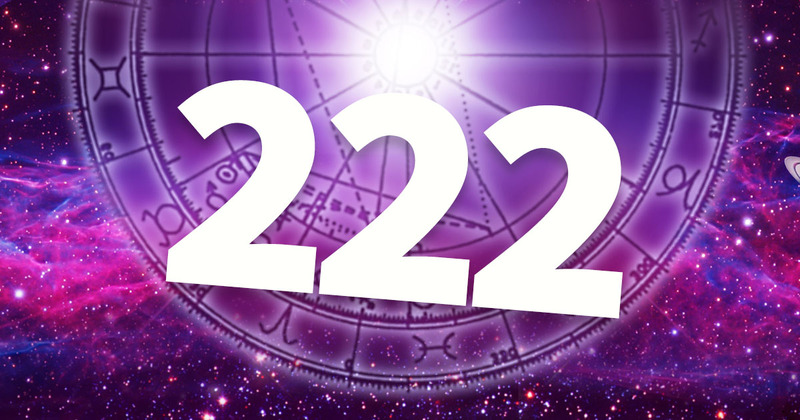 Often I get a lot of question about the spiritual meaning of the number 222, this unique and divine number has special resonance, so whats the symbolic meaning of this number? The meaning of number 222 signifies your call to action, to further the path you are on, or any new path you are on. It also symbolizes that you have taken in actions of other people and you recognize them as well. You maybe onto something great. You are heading towards the right path. Whatever you are doing, its the correct thing. You need to keep going along this thought process. You have to take it much further, you are heading the right way. Your intention and energy is aligned with your higher self and path. Why Are You Seeing This Number Now? You are seeing this number now because you have managed to break away from your ego and now realize your true calling and path, you know everyone and everything in the universe is one, you are now resonating with that energy. Now that you realize you are not getting wrapped in the idea of the physical and material, you know this will only separate you. Number 222 spiritual meaning and symbolism is to listen to your soul to guide you along the path you are on. You are doing the right thing and are on the right path, just listen to your souls intuition and you will be happy. Everyone you know will be happy knowing you are following your higher calling. This number is your divine calling from your higher self and guides, through spirit they are able to speak to you, this number is their message. Don’t be afraid of this calling, your guides want you to have abundance. They want you to reach your goals and dreams. Close your eyes and search within and they will assist you. Also Recommended: What Is The Spiritual Meaning Of 555? Number 222 spiritual meaning is the symbolism for new beginning, its time for you to step up the ladder. Just as the Universe removes the old and creates the new, this is just like fresh air for your daily routines. This number signifies your renewed lust and primal urge for new opportunities. Make the best of these opportunities and make your heart smile by making these dreams a reality. What are your thoughts on the number 222? Do you have your own interpretation, we would love to hear from you, leave a comment below. Back in the early 90’s, before cell phones. We had paggers. When I first met my husband & we started dating. He would always page me the #’s 222 when he was thinking of me. As I look back now, I see our higher selfs leaving codes, clues. To many coincidences along the way, I had a reading. Turns out my husband and I made a contract to meet up down here. Makes sense now. does this whole true for 2222? saw it today before reading this article. thanks for the article(s)!